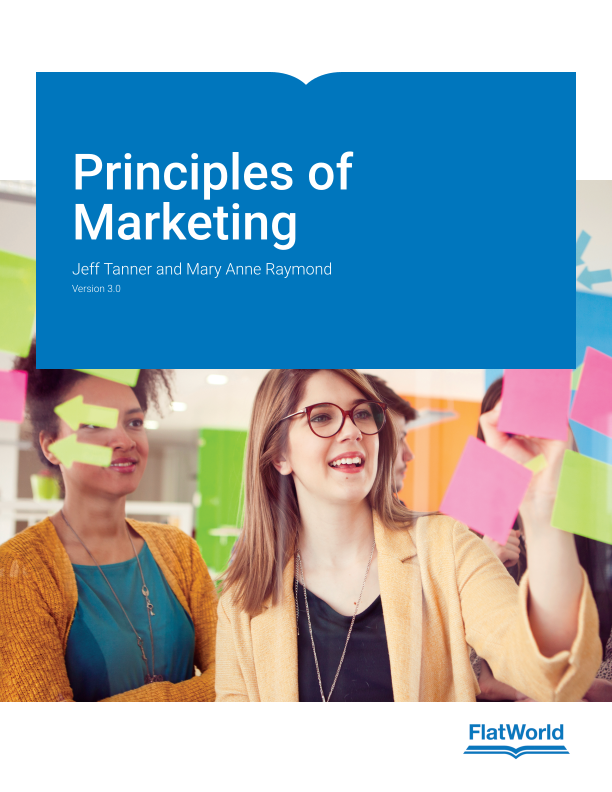 Principles of Marketing is an up-to-date overview into what is going on in the field of marketing today. This textbook covers topics such as: Content marketing, social media best practices, and crowdfunding and crowdsourcing. This is a resource to show students how to actually use these techniques and market. Expanded coverage of social media marketing. Expanded coverage of big data and predictive analytics. Consistent references to ethical situations. Discussion of metrics and which metrics to actually capture and analyze. Audio interviews with marketing professionals. 6.1 What Comprises An Offering? John F. (Jeff) Tanner Jr., is Dean of the Strome College of Business, Old Dominion University. He is an internationally recognized expert in sales and sales management. He is the author or coauthor of fifteen books, including best-selling textbooks such as Selling: Building Partnerships and several books for practitioners, most recently Analytics & Dynamic Customer Strategy: Big Profits from Big Data. His books have been translated into several languages and distributed in over thirty countries. Dr. Tanner spent eight years in marketing and sales with Rockwell International and Xerox Corporation. In 1988, he earned his PhD from the University of Georgia and joined the faculty at Baylor University, where he is now Professor Emeritus. Dr. Tanner has taught executives and business students around the world, including in Colombia, India, Mexico, Canada, France, Ireland, Australia, Malawi, and Trinidad. In addition to writing and research, Dr. Tanner maintains an active consulting and training practice. Recent clients include Teradata, Cabela's IBM, Gallery Furniture, EMC, and others. He is the managing partner of The Tanner Group, a marketing and customer strategy consultancy, and he is a founder and a partner in JK Tanner Inc., an investment firm. Mary Anne Raymond is Professor of Marketing and Director of Corporate Relations for the College of Business at Clemson University. Prior to joining the faculty at Clemson, she served on the faculty at American University in Washington, DC, as Interim Director of the Graduate Marketing Program at Johns Hopkins University, and as an invited Fulbright Professor of Marketing at Seoul National University in Seoul, Korea. In addition to teaching marketing in Korea for two years, Dr. Raymond taught in France and helped developed marketing programs in Spain, England, and Denmark. Dr. Raymond received her PhD from the University of Georgia. She has extensive industry experience doing strategic planning and acquisition analysis, marketing research, and investment analysis for Holiday Inns, Inc.; Freeport Sulphur; and Howard, Weil, Labouisse, Friedrichs. Dr. Raymond also does consulting, seminars, and marketing training for multinational companies, which have included organizations such as Merit Communications in Seoul, Korea; the Conference Center and Inn at Clemson University; and Sangyong Group. Her research focuses on strategy in domestic and international markets, public policy issues, and social marketing. Recently, she served as one of the Principal Investigators for a grant with the Department of Defense focused on “Facilitating Necessary Mental Health Treatment for Soldiers.” Dr. Raymond has published over one hundred papers appearing in journals such as the Journal of International Marketing, International Marketing Review, the Journal of Advertising Research, the Journal of Advertising, the Journal of Personal Selling and Sales Management, and the Journal of Public Policy and Marketing. Dr. Raymond has received numerous teaching and research awards including the Professor of the Year Award from Clemson University Panhellenic Association, the Undergraduate Teaching Excellence Award from the College of Business and Behavioral Science at Clemson three times, the Eli Lilly Faculty Excellence Awards for Outstanding Research and Outstanding Teaching, and the Eli Lilly Partnership Awards, and recognition for Leadership in Student Development from the Dow Chemical Company.